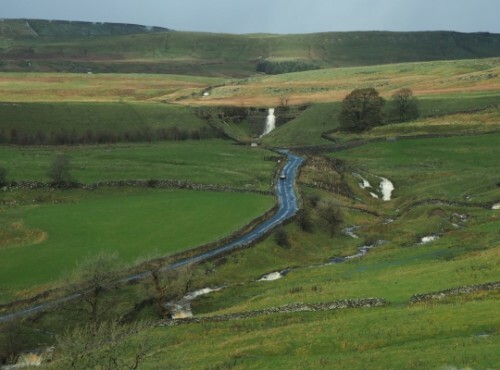 There are several waterfalls in Cray Gill in upper Wharfedale, the finest of these Cray Gill falls is a magnificent drop that can be seen from the road at Cray High Bridge. 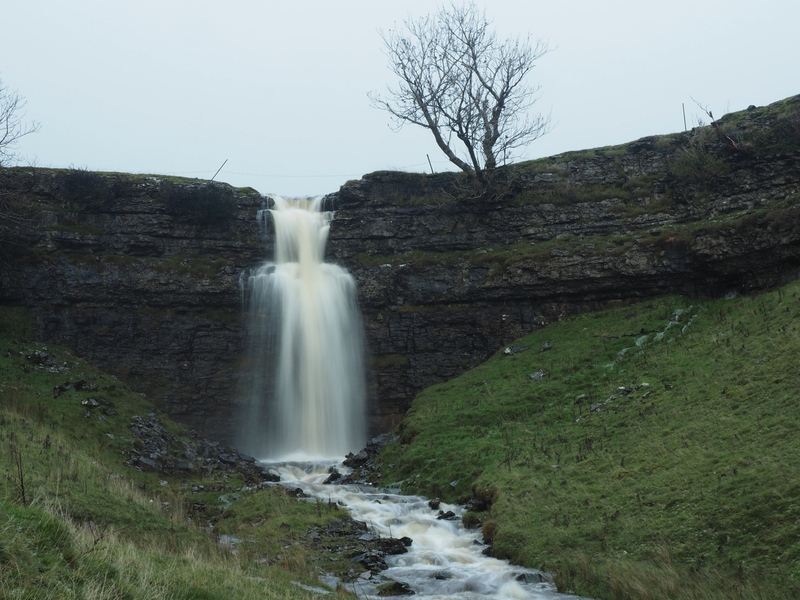 The Cray Gill falls can be seen on a hugely enjoyable waterfall walk in and around Cray Gill starting from Buckden and which also includes Cow Close Falls. If doing the walk anti-clockwise from Buckden there is a clear view of the waterfall at Cray High Bridge from across the gill on Buckden Rake. The view from the bridge is a good one, if you want to get a closer view it is necessary to take a gate further down the road into the adjacent field and then follow the wall on to the right. It should be noted though that this is neither a right of way or designated access land so if you enter the field it is very much a matter of conscience. 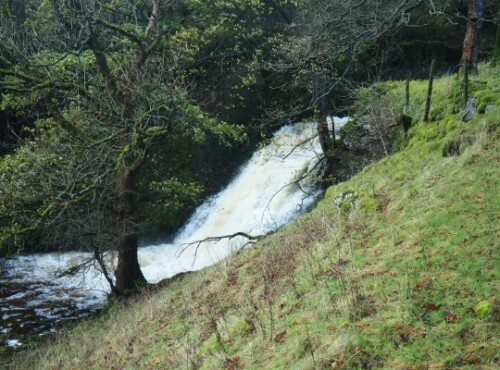 A further waterfall that is also worth having a look at is further down the road below Cray itself. Again it is not really possible to get really close to but it can still be appreciated from the roadside, especially after a spell of wet weather.